1 C None No Power Seat 1 C is a standard Economy Class seat that is in close proximity to the lavatory. The tray table is in the armrest, making the armrest immovable and slightly reducing seat width. Some may find it bothersome to sit facing another passenger. 1 D None No Power Seat 1 D is a standard Economy Class seat that is in close proximity to the lavatory. The tray table is in the armrest, making the armrest immovable and slightly reducing seat width. Some may find it bothersome to sit facing another passenger. 18 A None No Power Seat 18 A is a standard Economy Class Exit Row seat. 18 B None No Power Seat 18 B is a standard Economy Class Exit Row seat. 18 C None No Power Seat 18 C is a standard Economy Class Exit Row seat. 18 D None No Power Seat 18 D is a standard Economy Class Exit Row seat. 2 A None No Power Seat 2 A has extra legroom due to the Exit Row in front. The tray table is in the armrest, making the armrest immovable and slightly reducing seat width. 2 B None No Power Seat 2 B has extra legroom due to the Exit Row in front. The tray table is in the armrest, making the armrest immovable and slightly reducing seat width. 2 C None No Power Seat 2 C is a standard Economy Class Exit Row seat. Some may find it bothersome to sit facing another passenger. 2 D None No Power Seat 2 D is a standard Economy Class Exit Row seat. Some may find it bothersome to sit facing another passenger. 20 A None No Power Seat 20 A is in the last row of the plane and has limited or no recline. The close proximity to the galleys may be bothersome. 20 B None No Power Seat 20 B is in the last row of the plane and has limited or no recline. The close proximity to the galleys may be bothersome. 20 C None No Power Seat 20 C is in the last row of the plane and has limited or no recline. The close proximity to the galleys may be bothersome. 20 D None No Power Seat 20 D is in the last row of the plane and has limited or no recline. The close proximity to the galleys may be bothersome. 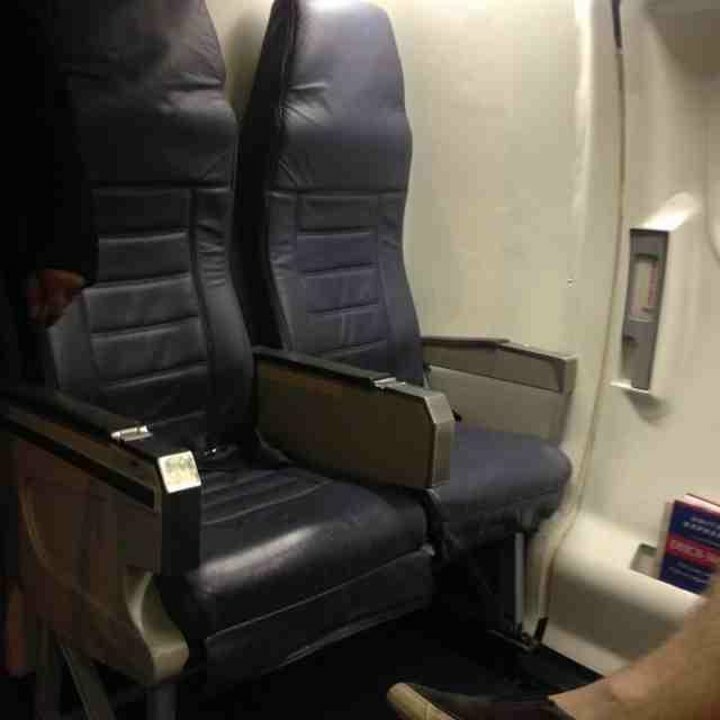 This aircraft seats a total of 50 passengers. 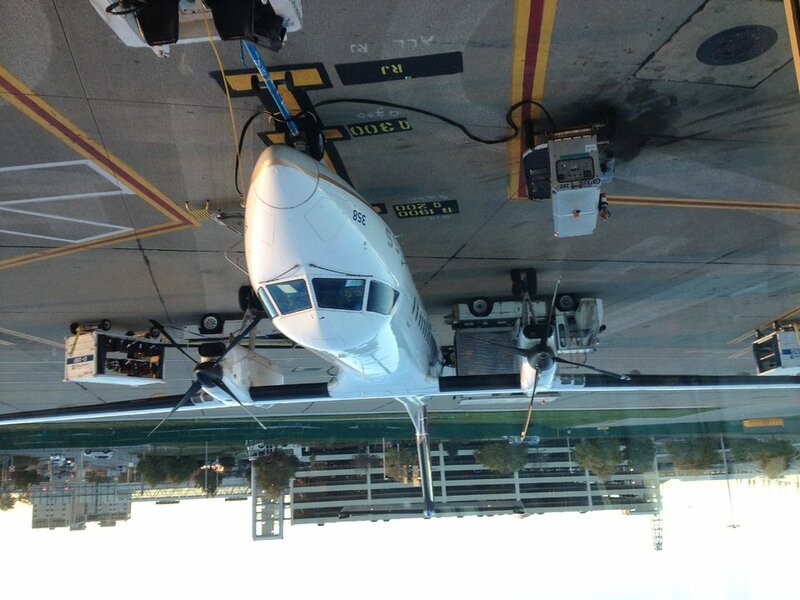 There is no inflight entertainment on this aircraft. 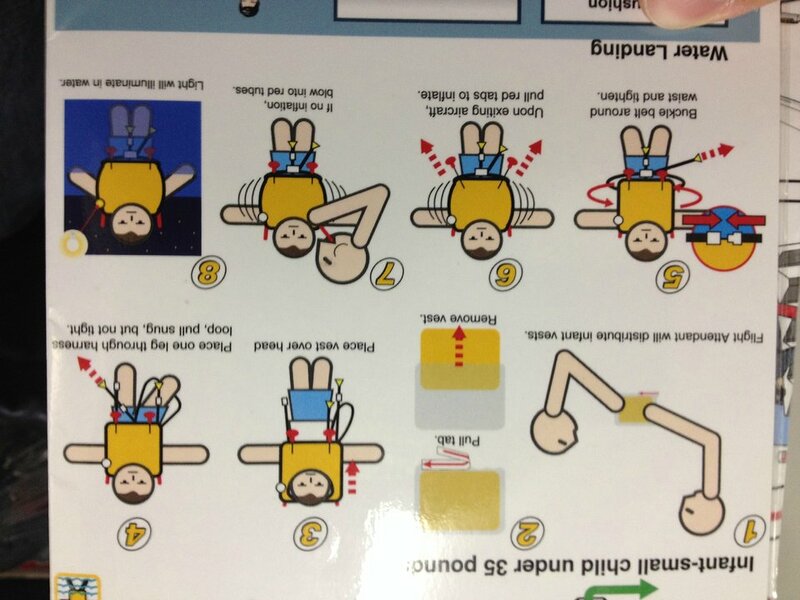 Often, for weight and balance, passengers may be asked to change seats once onboard the aircraft. 2A is a bulkhead seat with very limited legroom, should be classified as regular or bad seat. Seat 2B is an emergency exit seat with additional legroom. This plane has the wings over the body of the plane, a propjet; this seat had good views from the window as it was just behind the wheel gear. Seats 2C/D are as bad as 1 C/D. You are facing other passengers and have less leg room than in seats further back. Also you have to put a carryon in storage rack. I would classify 1 & 2 C/D as very poor. This aircraft is supremely quiet and comfortable compared to the ERJ-145. The CommutAir Crews are the friendliest in the sky, and you can rest assured they will take good care of you. 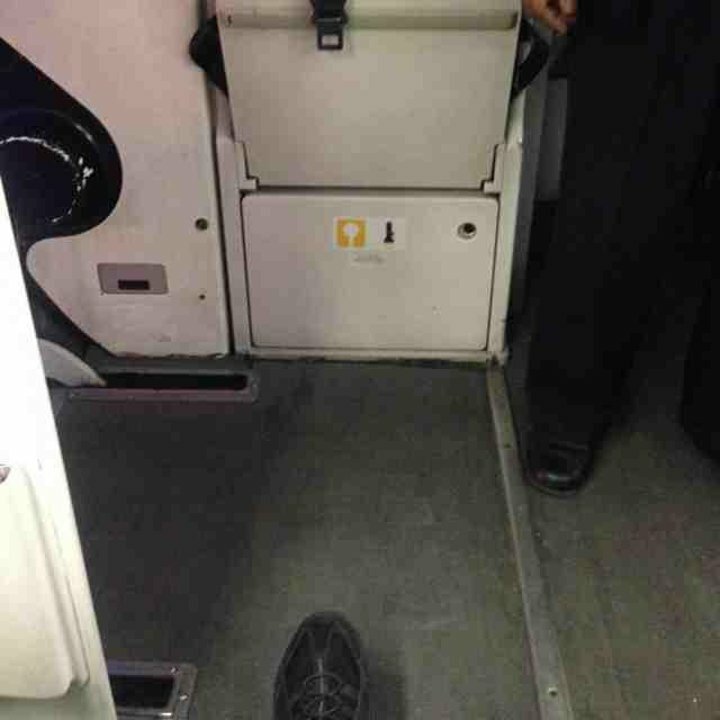 The legroom was quite small, but better than in the Embraer ERJ-145. Small aircraft for a 6ft8 man as I am, but for a short flight acceptable. 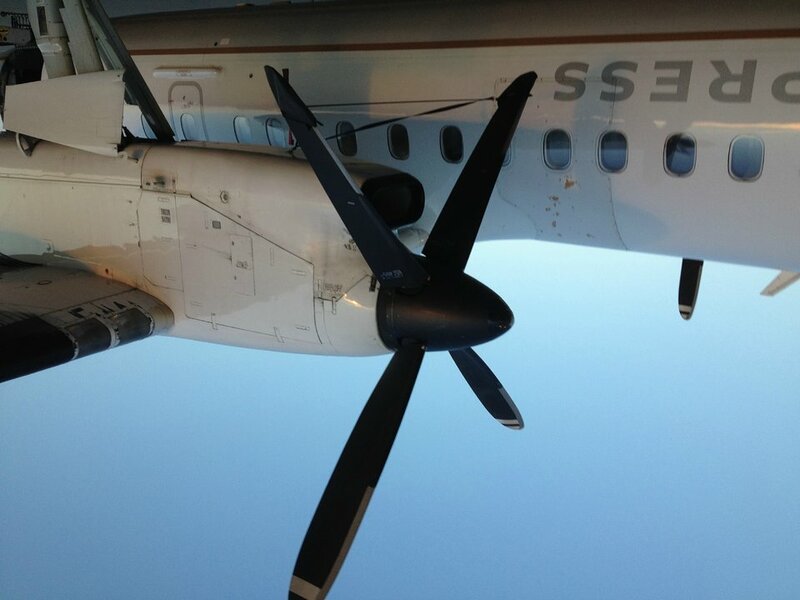 United flies 1 versions of Bombardier Q300.